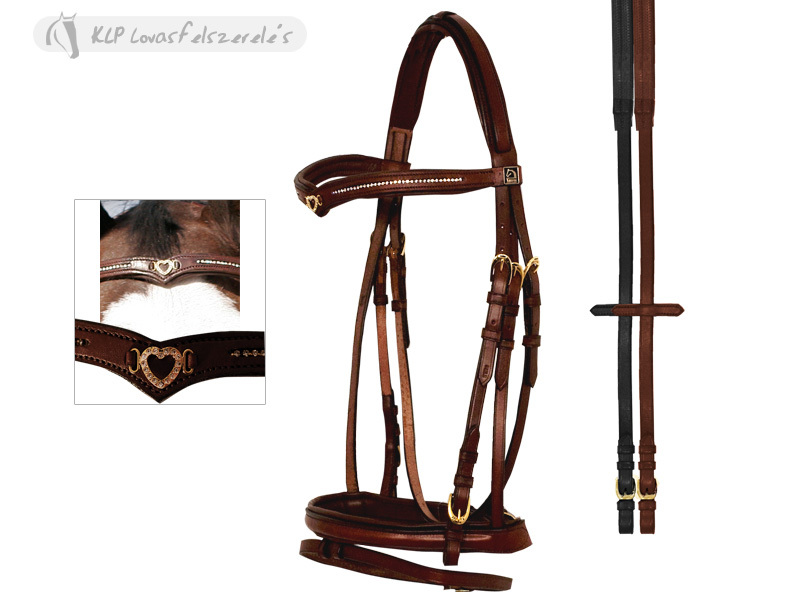 In Italian high quality leather, with V shaped and padded browband decorated with crystal chains and heart. 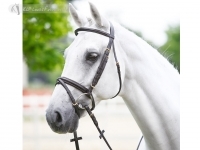 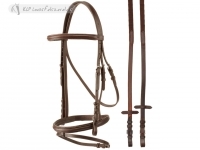 Provided with padded noseband, white stitchings, golden brass harness buckles, soft rubber grip reins with inner nylon. 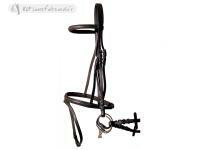 Free delivery in the EU! 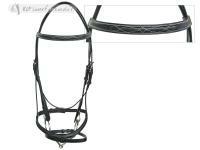 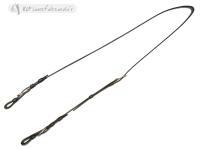 Snaffle Bridle Web Reins Econ.